The gluten-free recipe below for carrot cake bakes up into a moist but firm cake. (Use the same amount of regular flour if gluten is not a concern for you.) The chopped nuts and fresh grated carrots add wholesome goodness. The spice in the cake does compliment cream cheese frosting. To keep it healthy, I refrained my frosting enamored self from going to town. But a little bit doesn’t hurt, right? This recipe is inspired by the carrot cake at LiveWellBakeOften.com. *Bob’s Red Mill One-on-One Baking Flour works well. Preheat oven to 350°F. 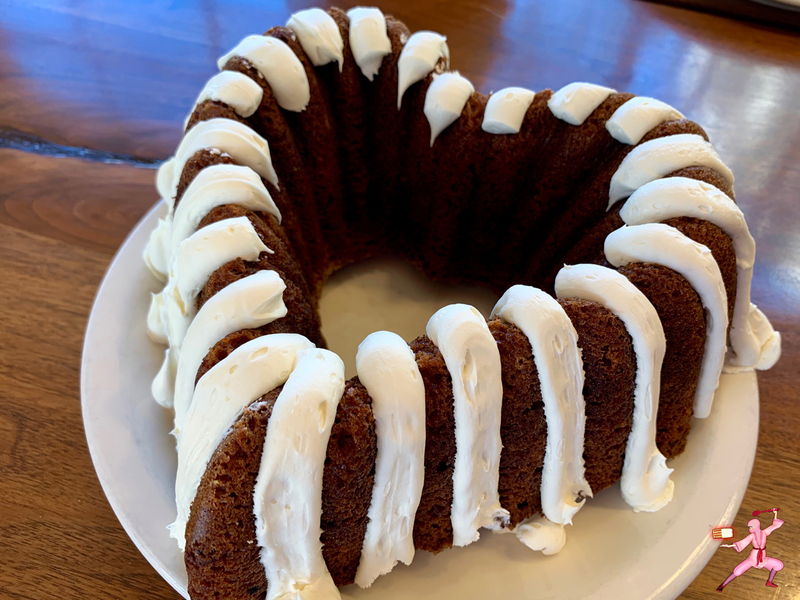 Generously – very generously – spray your favorite bundt pan with coconut oil spray. In a large mixing bowl, whisk together the flour, baking powder, baking soda, spices, salt and nuts. Set aside. In a separate large mixing bowl, mix together the oil, eggs, brown sugar, granulated sugar, applesauce, and vanilla extract. Gently stir in the grated carrots. Add the wet ingredients into the dry ingredients. With a rubber spatula until just combined, making sure not to over mix the batter. Pour the cake batter into the prepared bundt pan. Bake at 350°F for 70 to 80 minutes or until a toothpick inserted into the center of each one comes out clean. Cool for 45 to 60 minutes. Carefully remove from the pan. Once completely cooled, frost with your favorite frosting.